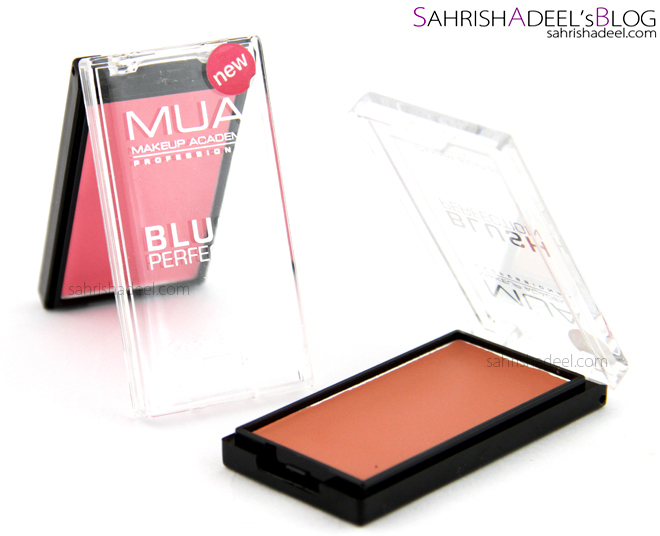 Cream Blusher by MUA Makeup Academy - Review & Swatches | Sahrish Adeel - Malaysia based Pakistani Beauty & Lifestyle Blogger! Can a cream blusher work well on oily skin as well? Lets find out how promising this product is. 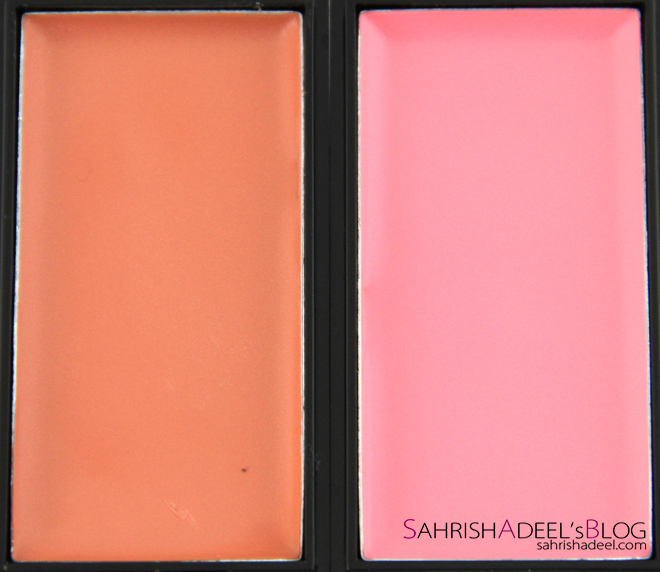 These cream blushers are very versatile and multi-purpose. They can be directly applied to bare skin, layered over foundation or set with the matching matte blushers in the £1 MUA range. You can use blush perfection to highlight your cheekbones, shape your face, build and blend with fingers or a brush to create the colour intensity. The colour effects range from a light pink to warm shade, depending on method of application. 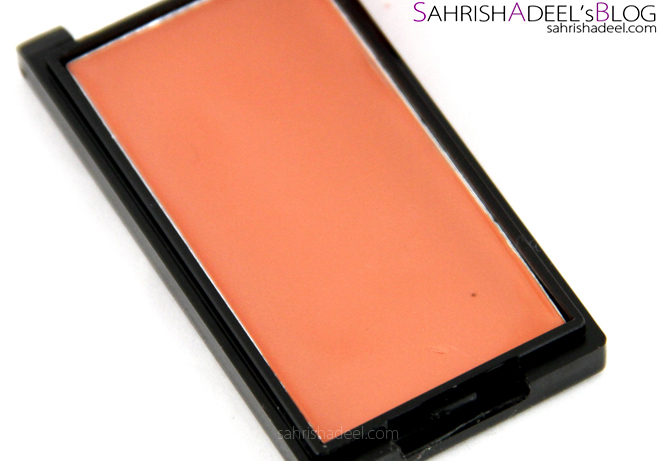 This cream blusher comes in a compact with a transparent lid. The packaging is really good and is quite slim. It comes in four shades and contains 3.2 grams of product. 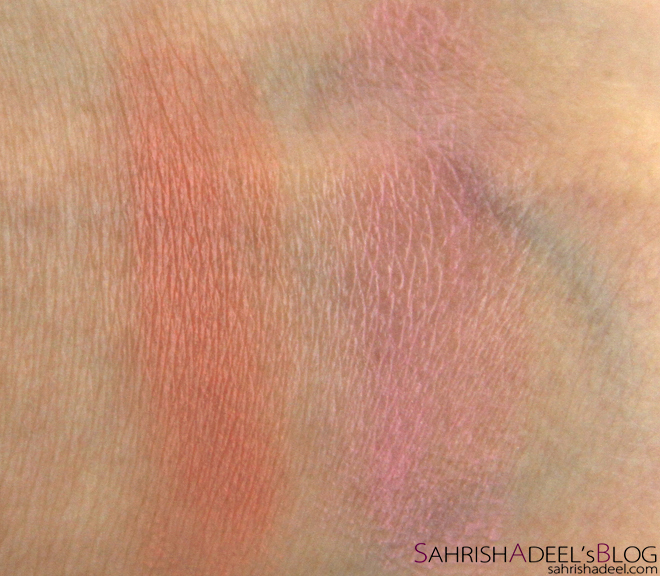 These swatches are taken on bare skin and the shade can be built even more than this. I have been using these blusher since I got them. When I got these, I was too afraid to try both of these shades and above that, these were cream products. Oily skin and cream product is not considered a good combination specially when I live in a humid weather. Today this review will have two experiences; mine and my sister's Aeesha who has oily skin as well but is an university student. Lets see if this blusher goes well with our routines. My experience was unexpectedly really good. Both of these shades looked good on my skin tone; Bittersweet for daytime with light coverage while Dolly for both day and night time. Luckily, this blusher stayed for about 3-4 hours even on my bare skin and it lasted even longer over a powder foundation. The best thing that I loved about it is that it looks like your own skin and can never go cakey. I apply these with blush brush or finger, depends how much time do I have. I find it easy to blend with a brush. Bittersweet has somewhat a white-ish tone and does not look good on dark complexion while Dolly looks amazing on all complexions. Since these cream blushers are highly pigmented, I like to dab my blush brush in the compact, pat once on the back of my hand and then gently buff onto my skin. I usually go for light coverage as it looks natural. I am absolutely in love with these blushers but I really wish MUA would come up with more shades in this range. And may be a cream bronzer? Aeesha has wheat-ish complexion with oily skin and she stays out for average six hours everyday. Dolly looked so nice on her and gave her such a natural look while staying on her skin for most of the time. She uses this on top of Invincible Powder by Color Studio Pro. Overall, both of us love these blushers and we could not find anything bad about the formulations. However my blogger nature noticed that the writing on the lid almost went away. But seriously, quantity and quality in this price is way too amazing. Thumbs up MUA. Easy to blend with fingers or with a brush. Stays for good 3-4 hours on my oily skin. Looks so natural and skin-like. Can be applied on care skin, layered over a foundation or used underneath a powder blush to make your blush last really long. The writing on the lids gets dull really quickly. This range should have more shades. Have you tried these cream blushers yet? Which one is your favorite? More reviews on Makeup Academy products.